Drinking fountains serve an invaluable purpose in our society. They provide reliable hydration to everyone. Since they can be found both indoors and outdoors, it’s important to install fountains that will work hard and take whatever the world throws at them. For this reason, it’s best to choose drinking fountains made from stainless steel. At Stainless AD, we stock a variety of well designed, high-quality drinking fountains. No matter where you install our products, you can trust in their unrivaled reliability. Staying hydrated is one of the easiest ways to live a healthy lifestyle. Sometimes, however, our busy lives get in the way and we simply forget to drink the daily required amount of water. This can lead to feelings of lethargy. But there is a beacon of hope. The drinking fountain is always there, always ready to supply water to the thirsty masses. The fountains see constant use. Some may also have to face high temperatures and erratic weather. In order to make sure your drinking fountains can stand tall all year long, consider options made from stainless steel. As a material, stainless steel is made to withstand the highest and lowest of temperatures, all while looking just as beautiful as it did on day one. Consider the park. These recreational areas welcome people of all ages all year long. People come to play, exercise, or simply to relax in the sun. All this outdoor activity will cause the park-goers to lose hydration through sweat. Some may have brought their own water bottles and others might’ve just gone out on a whim, unprepared. Regardless, there should be water fountains available for all to drink from. Athletes require constant hydration in order to recover from their exercise. Stainless AD carries many drinking fountain options to suit the needs of many. Some of our designs include integrated faucets to fill up water bottles. 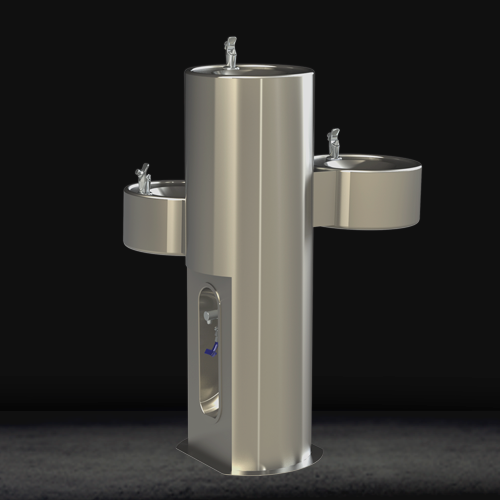 Other designs include two or even three drinking fountains to accommodate as many people as possible. 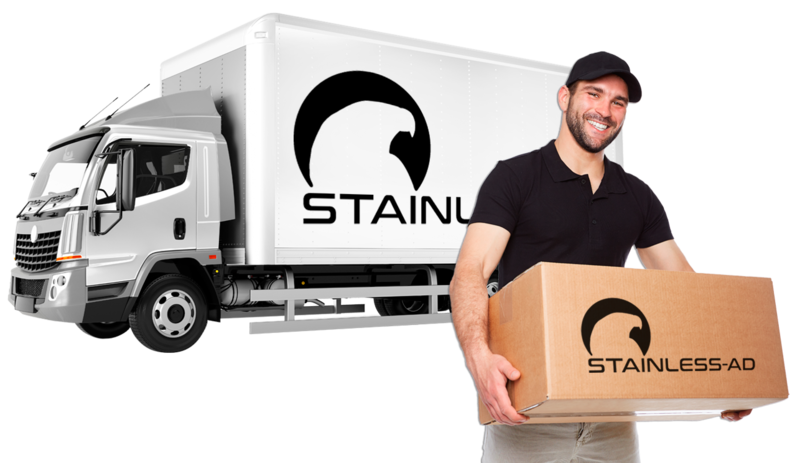 All of our products are made from stainless steel. They will remain beautiful and resilient even with little maintenance, making them a perfect option for outdoor applications. Keep Your Indoor Facilities Hydrated with Our Drinking Fountains! 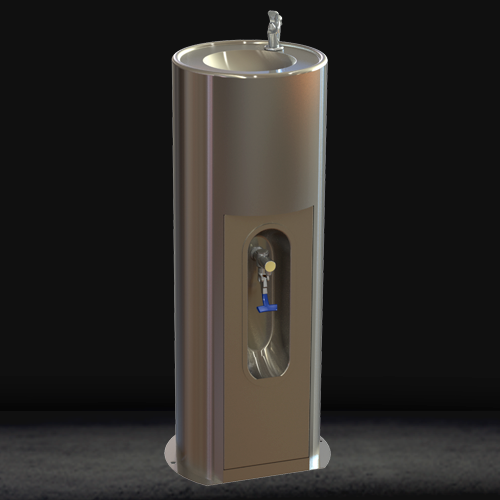 Drinking fountains also work brilliantly in schools, offices, retail spaces, and much more. Our beautifully designed options will boost the overall aesthetic of the indoor environment while giving patrons the ability to drink freely. We would be remiss if we didn’t mention the positive way water fountains impact the environment. When there are water fountains freely available, people will avoid purchasing plastic bottles. Individuals may also easily refill and reuse their bottles when there are more fountains at their disposal. There is truly no downside to drinking fountains. When you choose Stainless AD for all your stainless fixture needs, you’ll be able to install a beautiful product that will be reliable and beautiful throughout its entire lifespan. Contact us today to learn more about what we have to offer!